Successfully plan, develop and deliver projects that are under your guidance with the Graduate Diploma of Project Management from Swinburne Online. In this nationally recognised course in project management, you'll get the right training to address resource management, risk management, business analysis and strategy. Study online and at your own pace to learn how to manage project teams, how to work in human resource management and change management, as well as understand budgets and organisational behaviour. Use your qualification across many industries and apply your valuable knowledge and skills to help achieve business objectives. Completion of five years of relevant work experience to enter into the Graduate Certificate of Project Management. 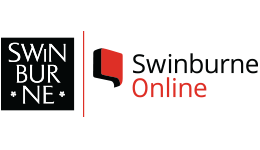 Upon successful completion of this course, you will receive a Graduate Diploma of Project Management from Swinburne Online. Eligible students can apply to receive a government study loan through FEE-HELP. Fill out this form and a Study Consultant from Swinburne Online	will get back to you.